At fanfest CCP Fozzie proposed a potential new ship class. Let’s call it the fleet commander’s flagship for now. This is to try and prevent “FC Headshotting” where the opposing fleet knows who the FC is and alpha’s them off the field leaving the rest of the fleet in confusion and disarray. Fozzie mentioned a ship with a great tank but no offensive abilities. Is this a good idea? Is FC head-shotting a legitimate tactic? If CCP do go down the route of a “flagship” how might this work? Also is a new ship the answer or is there another way of giving an FC the ability not to be assassinated 12 seconds into the fight without letting players exploit it? There are a bunch of arguments and assumptions in that package, and I am going to peel out the ones I want and leave the rest behind by asking and answering a few questions. Do people head shot FCs? Yes. 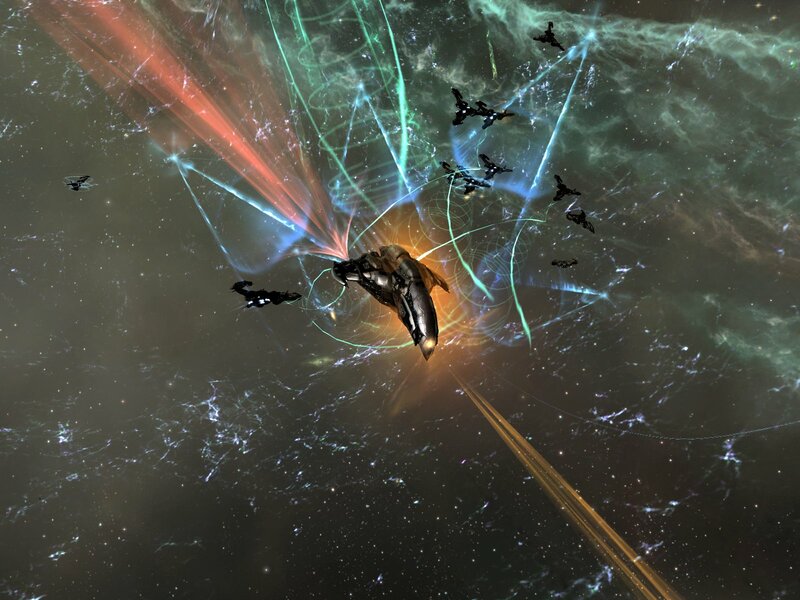 As an example, in the currently running Casino War, shooting the opposing FC is pretty much the go-to first move for both sides. As an example, we went up to Fade to shoot Pandemic Horde and they shot DBRB’s ship repeatedly. They didn’t manage to pod him however, so people kept giving him ships so we could keep going. It happens all the time and, we have so many spies in each others fleets that we know FCs are being called specifically. Is head shotting FCs a problem? If you are doing fun fights or honor brawls or whatever, like that one Reavers did against Ron Mexxico late last year, then killing the FC first is frowned upon as being unsportsmanlike conduct. Plus, when you blow up the enemy FC, the other side is likely to leave, so it tends to be a fight ending move. If you want fights and fun and kill mails, you don’t shoot the enemy FC first. But in other circumstance, like a war where you have objectives beyond shooting some dudes, the FC is just another potential avenue of attack, just like logi, boosters, tackle, or whatever. And, as with those other roles, there are already precautions a fleet can take to keep their FC alive. Should FCs get a special ship? They have special ships. They are called command ships, and they come in eight fun flavors, two from each empire faction. EVE University has a nice article about them. And they are tough birds already. For example, yesterday’s post was about how our Hurricane fleet got massacred in a fight. 90% of the line ships were blown up. But you know who got away? The battle report has them right there at the top, the two FCs… well known and always targeted… in the battle, Thomas Lear and Asher Elias. Good for them and their shiny command ships. I know that Thomas was targeted and had both armor and structure damage still as we rode out of the POS shield into the final battle. So command ships, and fleet precautions, can work to keep FCs alive. In addition to command ships, which are battlecruisers, CCP gave us command destroyers a while back, so FCs of fleets made up of smaller ships have a tougher option as well. But are those ships really meant for FCs? Maybe not… not for the role that FCs actually play in the game. Command ships seem more focused on providing boosts for a fleet. Like many ships, they were designed for a role CCP thought we should use, and then have been used for other roles instead. And since CCP gave command destroyers that extra fun AOE MJD option, they get targeted and shot with extreme prejudice. An FC flying one of those is waving a red flag and asking for a head shot most days of the week. So FCs should get a special ship, a flagship or some such, right? I mean, on the one hand, I love new ships. New ships attract attention, stir the pot, change the meta, or whatever other metaphor you want to throw in there. And a special new ship would give CCP a chance to introduce a few new annoying, long skills to train… that people will have trained to V via skill injectors in about 15 minutes. But CCP’s track record on keeping Genie’s in bottles isn’t so good. Anybody want to dig up that quote about how many titans they thought would ever be in the game? I am pretty sure that number was lower than the number lost at B-R5RB. 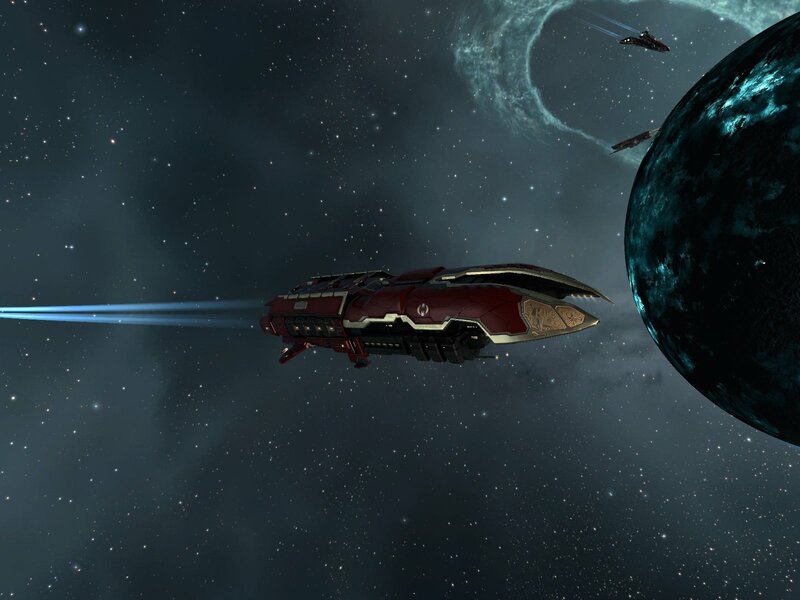 Players in EVE Online are ingenious, and they end up using things in unintended ways all the time. So putting a super hardened special FC ship in the game invites abuse. And putting up a barrier, like making them expensive, is just an invite for the rich to get richer. We already see fleets setup around Vulture or Slepnir command ships. And we have had a demonstration of how ISK translates into power during the current war. So, while I can come up with any number of suggestions… bigger tank with less weapon mounts, special FC siege mode, nerfs to damage and a boost to target painters or some such… I would be reluctant to endorse anything specific knowing how things have gone in the past. I wouldn’t discount the idea entirely, but you would really have to convince me it was a good idea. And then CCP would have to make four flavors, one for each empire faction, two shield tanked and two armor tanked, only one of which would be the obvious right choice and so on. Such a thing wouldn’t even have to be a ship. There could be a fleet commander module that, when fit or activated, boosted shield/armor/hull resists, disabled weapons mounts, and acted as an unjammable target designator or some such. Just be careful about what it does, because it will be used for things you cannot imagine later on. Even now I am thinking about fitting such a module on a hauler to make it more gank resistant, so maybe a module isn’t a good idea. And, as I said up near the top, I don’t think this is a big problem in any case. Certainly it is not one that CCP needs to divert a lot of development cycles to in order to “solve” it for whatever definition of “solved” you care to choose. In the end, if somebody tries to head shot your FC, they are sending you a message about what sort of fight they are looking for, and you should respond as you feel fit. But, I am also not an FC and I fly in fleets that tend to be objective oriented most days of the week, so what doesn’t look like a problem in my corner of New Eden might come with a different perspective elsewhere. Grimmash on Gaming – Whither Flagships? Target Caller – Are Fleet Commander’s Special? This entry was posted in entertainment, EVE Online and tagged Blog Banter on June 15, 2016 by Wilhelm Arcturus. I think there is a lot of space between the lameness that is seeking ‘good fights’, and fleet combat not being fun at all due to lame tactics via poor game design, so if a new FC ship moves the needle a bit more towards fleet fights being more fun, that’s good, right? But as you said, the biggest hurdle would be to design a ship that fits the role, while also not break something else. That’s always the hardest part, but I’d still say they should try and see what happens. It seems to me that they could balance the concept by taking a hybrid approach. Make an FC “Flagship” with minimal weapons and better than average durability, but nothing game breaking by itself. Then also create a module, that has to be fitted to the OTHER ships in the fleet. The module links to the FC ship and provides passive resists/hardening/whatever, but only to a single linked flagship at a time. The more ships in the fleet equipped with the module and linked to the flagship, the tougher it is. CCP can set a cap on this, and balance it wherever they feel appropriate. Only flagships can benefit from the module, but they can’t fit it themselves. Give it a decent range, but nothing so huge that you can park a bunch of ships outside the engagement and have them provide the benefit. You end up with a fleet commander ship that is very hard to destroy, but only when it’s in a fleet of ships equipped with the appropriate module. In return, the fleet gives up some of it’s power by losing a module on every ship supporting the flagship, and as ships in the fleet are destroyed the flagship becomes more vulnerable. Command ships exist, as pointed out. 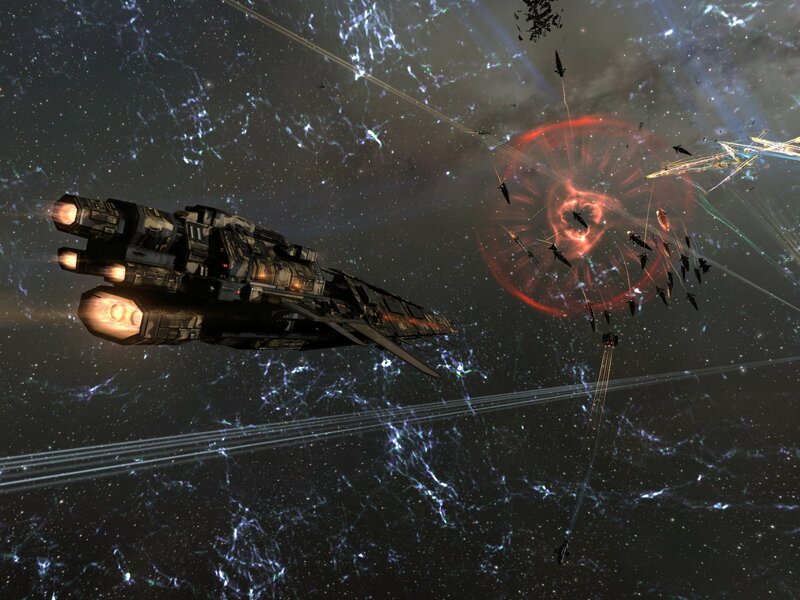 Targeting the FC is one way to reduce an enemy fleet’s effectiveness. No different that targeting a booster. Or their logi, or EWAR, or . . . Better fleets have multiple FCs. No need to do a single thing, here. I’m not a fan of solutions that end up breaking other things. As you’ve pointed out, creating a new class of super-tanky ships is likely to have unintended consequences as players find other things to do with a ship that’s nigh-on impossible to kill. If having fleet commanders singled out for focus fire really is a problem, then instead of making them super-survivable how about making them hard to single out? One way of doing that would be for corps to practice security – if nobody knows who the FC is he would be harder to target. Of course, that doesn’t work for internet-famous FCs. Another way is to have an anonymiser module fitted to ships so nobody can tell who’s piloting that ship. The ship takes a hit in capability as it doesn’t have a more useful module fitted (which makes it less attractive to lone wolf pirates who don’t want to be identified by their victims) but it lets the fleet turn ‘gank the FC’ into a shell game. The more ships with anonymisers, the harder to find the FC but the less firepower the fleet has. Offers an interesting choice. Late to the game here with this post but I support FC ships. I’ve never liked “headshot the FC”, I do it because it’s effective but I don’t think it’s fun. It’s a cheap win and this may be too e-honourabu but I prefer to win straight up not because the enemy fell into disarray. As it is I have to either bring multiple accounts to the fight (that will still get primaried once I tell the fleet who to anchor on) or just hope my logi can hold me. The problem is that command ships are grossly unbalanced. The damnation is the best one by far. The vulture is the most acceptable shield ship but is much worse than the damnation, and neither of those command ships compare to T3 strat cruisers. And once you reach a certain size fight there is no ship that is immune to a headshot (hello Gigx’s legion) I’m all for an FC ship with the caveat that it can be fast or slow and they allow me to whore on killmails someway. If that means it can only fit civilian guns I’m fine with that.